What follows is a half-hour lecture I have given on several public occasions, first at Yale on 26 October 2000 at the request of the Yale College Humanists and Secularists. It was followed by a Q & A session of nearly two hours. Many in my audiences have asked that I reproduce the speech online, with hyperlinked footnotes in brackets giving more detail than I am able to provide in person. I have now made this the central argument in my collection of essays on why I don't buy the resurrection story. In this 2004 edit, I have made only a few minor changes to the original 2000 text. Today I am going to tell you why I don't buy the resurrection story. By that I mean the tales in the Gospels, of Jesus physically rising again from the grave. As a professional historian, I do not believe we have anywhere near sufficient evidence or reason to believe this, and I've been asked by the Yale College Humanists and Secularists to explain why. If any of you want to know more about this than what few points I can cover in thirty minutes, I have several writings on this and other subjects on the Secular Web. But here I will cover the most important reasons why I don't buy the resurrection story. It actually begins with a different tale. In 520 A.D. an anonymous monk recorded the life of Saint Genevieve, who had died only ten years before that. In his account of her life, he describes how, when she ordered a cursed tree cut down, monsters sprang from it and breathed a fatal stench on many men for two hours; while she was sailing, eleven ships capsized, but at her prayers they were righted again spontaneously; she cast out demons, calmed storms, miraculously created water and oil from nothing before astonished crowds, healed the blind and lame, and several people who stole things from her actually went blind instead. No one wrote anything to contradict or challenge these claims, and they were written very near the time the events supposedly happened--by a religious man whom we suppose regarded lying to be a sin. Yet do we believe any of it? Not really. And we shouldn't. As David Hume once said, why do such things not happen now? Is it a coincidence that the very time when these things no longer happen is the same time that we have the means and methods to check them in the light of science and careful investigation? I've never seen monsters spring from a tree, and I don't know anyone who has, and there are no women touring the country transmuting matter or levitating ships. These events look like tall tales, sound like tall tales, and smell like tall tales. Odds are, they're tall tales. But we should try to be more specific in our reasons, and not rely solely on common sense impressions. And there are specific reasons to disbelieve the story of Genevieve, and they are the same reasons we have to doubt the Gospel accounts of the Resurrection of Jesus. For the parallel is clear: the Gospels were written no sooner to the death of their main character--and more likely many decades later--than was the case for the account of Genevieve; and like that account, the Gospels were also originally anonymous--the names now attached to them were added by speculation and oral tradition half a century after they were actually written. Both contain fabulous miracles supposedly witnessed by numerous people. Both belong to the same genre of literature: what we call a "hagiography," a sacred account of a holy person regarded as representing a moral and divine ideal. Such a genre had as its principal aim the glorification of the religion itself and of the example set by the perfect holy person represented as its central focus. Such literature was also a tool of propaganda, used to promote certain moral or religious views, and to oppose different points of view. The life of Genevieve, for example, was written to combat Arianism. The canonical Gospels, on the other hand, appear to combat various forms of proto-Gnosticism. So being skeptical of what they say is sensible from the start. It is certainly reasonable to doubt the resurrection of Jesus in the flesh, an event placed some time between 26 and 36 A.D. For this we have only a few written sources near the event, all of it sacred writing, and entirely pro-Christian. Pliny the Younger was the first non-Christian to even mention the religion, in 110 A.D., but he doesn't mention the resurrection. No non-Christian mentions the resurrection until many decades later--Lucian, a critic of superstition, was the first, writing in the mid-2nd century, and likely getting his information from Christian sources. So the evidence is not what any historian would consider good. First of all, we have Caesar's own word on the subject. Indeed, The Civil War has been a Latin classic for two thousand years, written by Caesar himself and by one of his generals and closest of friends. In contrast, we do not have anything written by Jesus, and we do not know for certain the name of any author of any of the accounts of his earthly resurrection. Second, we have many of Caesar's enemies, including Cicero, a contemporary of the event, reporting the crossing of the Rubicon, whereas we have no hostile or even neutral records of the resurrection until over a hundred years after the event, which is fifty years after the Christians' own claims had been widely spread around. Third, we have a number of inscriptions and coins produced soon after the Republican Civil War related to the Rubicon crossing, including mentions of battles and conscriptions and judgments, which provide evidence for Caesar's march. On the other hand, we have absolutely no physical evidence of any kind in the case of the resurrection. Fourth, we have the story of the "Rubicon Crossing" in almost every historian of the period, including the most prominent scholars of the age: Suetonius, Appian, Cassius Dio, Plutarch. Moreover, these scholars have a measure of proven reliability, since a great many of their reports on other matters have been confirmed in material evidence and in other sources. In addition, they often quote and name many different sources, showing a wide reading of the witnesses and documents, and they show a desire to critically examine claims for which there is any dispute. If that wasn't enough, all of them cite or quote sources written by witnesses, hostile and friendly, of the Rubicon crossing and its repercussions. Compare this with the resurrection: we have not even a single established historian mentioning the event until the 3rd and 4th centuries, and then only by Christian historians. And of those few others who do mention it within a century of the event, none of them show any wide reading, never cite any other sources, show no sign of a skilled or critical examination of conflicting claims, have no other literature or scholarship to their credit that we can test for their skill and accuracy, are completely unknown, and have an overtly declared bias towards persuasion and conversion. Fifth, the history of Rome could not have proceeded as it did had Caesar not physically moved an army into Italy. Even if Caesar could have somehow cultivated the mere belief that he had done this, he could not have captured Rome or conscripted Italian men against Pompey's forces in Greece. On the other hand, all that is needed to explain the rise of Christianity is a belief--a belief that the resurrection happened. There is nothing that an actual resurrection would have caused that could not have been caused by a mere belief in that resurrection. Thus, an actual resurrection is not necessary to explain all subsequent history, unlike Caesar's crossing of the Rubicon. It should be clear that we have many reasons to believe that Caesar crossed the Rubicon, all of which are lacking in the case of the resurrection. In fact, when we compare all five points, we see that in four of the five proofs of an event's historicity, the resurrection has no evidence at all, and in the one proof that it does have, it has not the best, but the very worst kind of evidence--a handful of biased, uncritical, unscholarly, unknown, second-hand witnesses. Indeed, you really have to look hard to find another event that is in a worse condition than this as far as evidence goes. So Geivett is guilty of a rather extreme exaggeration. This is not a historically well-attested event, and it does not meet the highest standards of evidence. Only a small class of elite well-educated men adopted more skeptical points of view, and because they belonged to the upper class, both them and their arrogant skepticism were scorned by the common people, rather than respected. Plutarch laments how doctors were willing to attend to the sick among the poor for little or no fee, but they were usually sent away, in preference for the local wizard. By modern standards, almost no one had any sort of education at all, and there were no mass media disseminating scientific facts in any form. By the estimates of William Harris, author of Ancient Literacy , only 20% of the population could read anything at all, fewer than 10% could read well, and far fewer still had any access to books. He found that in comparative terms, even a single page of blank papyrus cost the equivalent of thirty dollars--ink, and the labor to hand copy every word, cost many times more. We find that books could run to the tens or even hundreds of thousands of dollars each. Consequently, only the rich had books, and only elite scholars had access to libraries, of which there were few. The result was that the masses had no understanding of science or critical thought. They were neither equipped nor skilled, nor even interested, in challenging an inspiring story, especially a story like that of the Gospels: utopian, wonderful, critical of upper class society--even more a story that, if believed, secured eternal life. Who wouldn't have bought a ticket to that lottery? Opposition arose mainly from prior commitments to other dogmas, not reason or evidence. The differences between society then and now cannot be stressed enough. There didn't exist such things as coroners, reporters, cameras, newspapers, forensic science, or even police detectives. All the technology, all the people we have pursuing the truth of various claims now, did not exist then. In those days, few would even be able to check the details of a story if they wanted to--and few wanted to. Instead, people based their judgment on the display of sincerity by the storyteller, by his ability to impress them with a show or simply to persuade and "sell" his story, and by the potential rewards his story had to offer. At the same time, doubters didn't care to waste the time or money debunking yet another crazy cult, of which there were hundreds then. And so it should not surprise us that we have no writings by anyone hostile to Christianity until a century after it began--not even slanders or lies. Clearly, no doubter cared to check or even challenge the story in print until it was too late to investigate the facts. These are just some of the reasons why we cannot trust extraordinary reports from that time without excellent evidence, which we do not have in the case of the physical resurrection of Jesus. For on the same quality of evidence we have reports of talking dogs, flying wizards, magical statues, and monsters springing from trees. Can you imagine a movement today claiming that a soldier in World War Two rose physically from the dead, but when you asked for proof all they offered you were a mere handful of anonymous religious tracts written in the 1980's? Would it be even remotely reasonable to believe such a thing on so feeble a proof? Well--no. What about alien bodies recovered from a crashed flying saucer in Roswell, New Mexico? Many people sincerely believe that legend today, yet this is the modern age, with ample evidence against it in print that is easily accessible to anyone, and this legend began only thirty years after the event. Even so, it is often said in objection that we can trust the Gospels more than we normally would because they were based on the reports of eye-witnesses of the event who were willing to die for their belief in the physical resurrection, for surely no one would die for a lie. To quote a Christian website: "the first disciples were willing to suffer and die for their faith...for their claims to have seen Jesus...risen bodily from the dead." Of course, the Gospel of Matthew 28:17 actually claims that some eye-witnesses didn't believe what they saw and might not have become Christians, which suggests the experience was not so convincing after all. But there are two other key reasons why this argument sounds great in sermons but doesn't hold water under rational scrutiny. First, it is based on nothing in the New Testament itself, or on any reliable evidence of any kind. None of the Gospels or Epistles mention anyone dying for their belief in the "physical" resurrection of Jesus. The only martyrdoms recorded in the New Testament are, first, the stoning of Stephen in the Book of Acts. But Stephen was not a witness. He was a later convert. So if he died for anything, he died for hearsay alone. But even in Acts the story has it that he was not killed for what he believed, but for some trumped up false charge, and by a mob, whom he could not have escaped even if he had recanted. So his death does not prove anything in that respect. Moreover, in his last breaths, we are told, he says nothing about dying for any belief in the physical resurrection of Jesus, but mentions only his belief that Jesus was the messiah, and was at that moment in heaven. And then he sees Jesus--yet no one else does, so this was clearly a vision, not a physical appearance, and there is no good reason to believe earlier appearances were any different. The second and only other "martyr" recorded in Acts is the execution of the Apostle James, but we are not told anything about why he was killed or whether recanting would have saved him, or what he thought he died for. In fact, we have one independent account in the Jewish history of Josephus, of the stoning of a certain "James the brother of Jesus" in 62 A.D., possibly but not necessarily the very same James, and in that account he is stoned for breaking the Jewish law, which recanting would not escape, and in the account of the late 2nd century Christian hagiographer Hegesippus, as reported by Eusebius, he dies not for his belief in a physical resurrection, but, just like Stephen, solely for proclaiming Jesus the messiah, who was at that moment in heaven. Yet that is the last record of any martyrdom we have until the 2nd century. Then we start to hear about some unnamed Christians burned for arson by Nero in 64 A.D., but we do not know if any eye-witnesses were included in that group--and even if we did it would not matter, for they were killed on a false charge of arson, not for refusing to deny belief in a physical resurrection. So even if they had recanted, it would not have saved them, and therefore their deaths also do not prove anything, especially since such persecution was so rare and unpredictable in that century. We also do not even know what it was they believed--after all, Stephen and James did not appear to regard the physical resurrection as an essential component of their belief. It is not what they died for. Which brings us to the second point: it seems distinctly possible, if not definite, that the original Christians did not in fact believe in a physical resurrection (meaning a resurrection of his corpse), but that Jesus was taken up to heaven and given a new body--a more perfect, spiritual body--and then "the risen Jesus" was seen in visions and dreams, just like the vision Stephen has before he dies, and which Paul has on the road to Damascus. Visions of gods were not at all unusual, a cultural commonplace in those days, well documented by Robin Lane Fox in his excellent book Pagans and Christians. But whatever their cause, if this is how Christianity actually started, it means that the resurrection story told in the Gospels, of a Jesus risen in the flesh, does not represent what the original disciples believed, but was made up generations later. So even if they did die for their beliefs, they did not die for the belief that Jesus was physically resurrected from the grave. That the original Christians believed in a spiritual resurrection is hinted at in many strange features of the Gospel accounts of the appearances of Jesus after death, which may be survivals of an original mystical tradition later corrupted by the growing legend of a bodily resurrection, such as a Jesus that they do not recognize, or who vanishes into thin air. But more importantly, it is also suggested by the letters of Paul, our earliest source of information on any of the details of the original Christian beliefs. For Paul never mentions or quotes any of the Gospels, so it seems clear that they were not written in his lifetime. This is supported by internal evidence that suggests all the Gospels were written around or after the destruction of Jerusalem in 70 A.D., well after Paul's last surviving letter, which was written around the year 58. Yet Paul never mentions Jesus having been resurrected in the flesh. 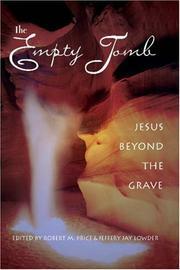 He never mentions empty tombs, physical appearances, or the ascension of Jesus into heaven afterward (i.e. when Paul mentions the ascension, he never ties it to appearances in this way, and never distinguishes it from the resurrection event itself). In Galatians 1 he tells us that he first met Jesus in a "revelation" on the road to Damascus, not in the flesh, and the Book of Acts gives several embellished accounts of this event that all clearly reflect not any tradition of a physical encounter, but a startling vision (a light and a voice, nothing more). Then in 1 Corinthians 15 Paul reports that all the original eye-witnesses--Peter, James, the Twelve Disciples, and hundreds of others--saw Jesus in essentially the same way Paul did. The only difference, he says, was that they saw it before him. He then goes on to build an elaborate description of how the body that dies is not the body that rises, that the flesh cannot inherit the kingdom of God, and how the resurrected body is a new, spiritual body. All this seems good evidence that Paul did not believe in the resurrection of a corpse, but something fundamentally different. Finally, when we examine the Gospel record closely, it becomes apparent that the physical nature of the resurrection was a growing legend, becoming more and more fabulous over time, a good sign that it wasn't the original story. Now, we don't actually know when any of the Gospels were written, but we can infer their chronological order. Luke and Matthew both copy whole phrases from Mark and arrange them in an identical order as found in Mark, so it is clear that Mark came first among those three. Scholars dispute whether Luke preceded Matthew or the other way around, but it seems to me that, since they show no apparent awareness of each other, they were written around the same time, though scholars generally hold that Luke perhaps wrote later than Matthew. John presents the most theologically elaborate of the accounts, suggesting a late development, and even earliest Christian tradition held that this Gospel was the last to be written, and scholars generally agree on this. So we start with Mark. It is little known among the laity, but in fact the ending of Mark, everything after verse 16:8, does not actually exist in the earliest versions of that Gospel that survive. It was added some time late in the 2nd century or even later. Before that, as far as we can tell, Mark ended at verse 16:8. But that means his Gospel ended only with an empty tomb, and a pronouncement by a mysterious young man  that Jesus would be seen in Galilee--nothing is said of how he would be seen. This was clearly unsatisfactory for the growing powerful arm of the Church a century later, which had staked its claim on a physical resurrection, against competing segments of the Church usually collectively referred to as the Gnostics (though not always accurately). So an ending was added that quickly pinned some physical appearances of Jesus onto the story, and for good measure put in the mouth of Christ rabid condemnations of those who didn't believe it. But when we consider the original story, it supports the notion that the original belief was of a spiritual rather than a physical event. The empty tomb for Mark was likely meant to be a symbol, not a historical reality, but even if he was repeating what was told him as true, it was not unusual in the ancient world for the bodies of heroes who became gods to vanish from this world: being deified entailed being taken up into heaven, as happened to men as diverse as Hercules and Apollonius of Tyana, and Mark's story of an empty tomb would simply represent that expectation. A decade or two passes, and then Matthew appears. As this Gospel tells it, there was a vast earthquake, and instead of a mere boy standing around beside an already-opened tomb, an angel--blazing like lightning--descended from the sky and paralyzed two guards that happened to be there, rolled away the stone single handedly before several witnesses--and then announced that Jesus will appear in Galilee. Obviously we are seeing a clear case of legendary embellishment of the otherwise simple story in Mark. Then in Matthew a report is given (similar to what was later added to Mark), where, contrary to the angel's announcement, Jesus immediately meets the women that attended to his grave and repeats what the angel said. Matthew is careful to add a hint that this was a physical Jesus, having the women grovel and grab his feet as he speaks. Then, maybe a little later still, Luke appears, and suddenly what was a vague and perhaps symbolic allusion to an ascension in Mark has now become a bodily appearance, complete with a dramatic reenactment of Peter rushing to the tomb and seeing the empty death shroud for himself. [32a] As happened in Matthew, other details have grown. The one young man of Mark, which became a flying angel in Matthew, in this account has suddenly become two men, this time not merely in white, but in dazzling raiment. And to make the new story even more suspicious as a doctrinal invention, Jesus goes out of his way to say he is not a vision, and proves it by asking the Disciples to touch him, and then by eating a fish. And though both Mark and Matthew said the visions would happen in Galilee, Luke changes the story, and places this particular experience in the more populous and prestigious Jerusalem. Finally along comes John, perhaps after another decade or more. Now the legend has grown full flower, and instead of one boy, or two men, or one angel, now we have two angels at the empty tomb. And outdoing Luke in style, John has Jesus prove he is solid by showing his wounds, and breathing on people, and even obliging the Doubting Thomas by letting him put his fingers into the very wounds themselves. Like Luke, the most grandiose appearances to the Disciples happen in Jerusalem, not Galilee as Mark originally claimed. In all, John devotes more space and detail than either Luke or Matthew to demonstrations of the physicality of the resurrection, details nowhere present or even implied in Mark. It is obvious that John is trying very hard to create proof that the resurrection was the physical raising of a corpse, and at the end of a steady growth of fable, he takes license to make up a lot of details. We have no primary sources on what was going on in the forty years of the Church between Paul in the year 58 and Clement of Rome in the year 95, and Paul tells us almost nothing about what happened in the beginning. We only conjecture that the Gospels were written between Paul and Clement, though they may have been written even ten or twenty years later still. But what I suspect happened is something like this: Jesus died, was buried, and then in a vision or dream appeared to one or more of his Disciples, convincing them he had ascended to heaven, marking the beginning of the fast-approaching End Times as the first to be raised, and then what began in the simple story of Mark as a symbolic allusion to an ascended Christ soon to reveal himself in visions from heaven, in time led some Christians to believe that the resurrection was a physical rising of a corpse. Then they heard or came up with increasingly elaborate stories proving themselves right. Overzealous people often add details and color to a story they've been told without even thinking about it, and as the story passed from each to the next more detail and elaboration was added, securing the notion of a physical resurrection in popular imagination and belief. It would have been a natural mistake to make at the time, since gods were expected to be able to raise people bodily from the dead, and physical resurrections were actually in vogue in the very 1st century when Christianity began. Consider the god Asclepius. Doctors associated themselves with this god, and many legends were circulating of doctors becoming famous by restoring the dead to life, as recounted by Pliny the Elder, Apuleius and others. Asclepius was also called SOTER, "The Savior," as many gods were in that day. He was especially so-named for being able to cure the sick and bring back the dead, and since "Jesus" (properly, Joshua) means "The Savior" in Hebrew it may have been expected that his resurrection would be physical in nature, too. After all, so was that of Lazarus, or of the boy raised by Elijah in 1 Kings--a prophet with whom Jesus was often equated. Jesus' association with many healing miracles may also have implied a deliberate rivalry with Asclepius, and indeed, Jesus was actually called SOTER, and still is today: we see the Christian fishes on the backs of cars now, containing the Greek word ICHTHUS, the last letter of which stands for: SOTER. Not standing to be outdone by a pagan god, Christians may have simply expected that their god could raise himself physically from the grave. Then there is Herodotus, who was always a popular author and had been for centuries. He told of a Thracian religion that began with the physical resurrection of a man called Zalmoxis, who then started a cult in which it was taught that believers went to heaven when they died. We also know that circulating in the Middle East were very ancient legends regarding the resurrection of the goddess Inanna (also known as Ishtar), who was crucified in the underworld, then rescued and raised back to earth by her divine attendant, a tale recounted in a four thousand year old clay tablet from Sumeria. Finally, Plutarch writes in the latter half of the 1st century how "Romeo-and-Juliet-style" returns from the dead were a popular theme in contemporary theatre, and we know from surviving summaries and fragments that they were also a feature in romance novels of that day. This trend is discussed at some length in G. W. Bowersock's book Fiction as History. Lending plausibility to this chain of events was the Jewish War between 66 and 70 A.D., which ended with the complete destruction of the original Christian Church in Jerusalem, and much of the entire city, after all Judaea itself was ravaged by war. It is likely that many if not all of the original believers still living were killed in this war, or in Nero's persecution of 64, and with the loss of the central source of Christian authority and tradition, legends were ripe for the growing. This would explain why later Christians were so in the dark about the history of their own Church between 58 and 95. It was a kind of mini-dark age for them, a time of confusion and uncertainty. But what exactly happened we may never know. However it came to change, it seems more than likely that the first Christians, among them Paul, believed in a spiritual resurrection, and not the resurrection story told in the Gospels. So this is where we end up. We have no trustworthy evidence of a physical resurrection, no reliable witnesses. It is among the most poorly attested of historical events. The earliest evidence, from the letters of Paul, does not appear to be of a physical resurrection, but a spiritual one. And we have at least one plausible reason available to us as to why and how the legend grew into something else. Finally, the original accounts of a resurrection of a flesh-and-blood corpse show obvious signs of legendary embellishment over time, and were written in an age of little education and even less science, a time overflowing with superstition and credulity. And, ultimately, the Gospels match perfectly the same genre of hagiography as that life of Genevieve with which I began. There the legends quickly arose, undoubted and unchallenged, of treeborn monsters and righted ships and blinded thieves. In the Gospels, we get angels and earthquakes and a resurrection of the flesh. So we have to admit that neither is any more believable than the other. It should not be lost on us that Thomas was depicted as no less righteous for refusing to believe so wild a claim without physical proof. We have as much right, and ought to follow his example. He got to see and feel the wounds before believing, and so should we. I haven't, so I can't be expected to believe it. And this leads me to one final reason why I don't buy the resurrection story. No wise or compassionate God would demand this from us. Such a god would not leave us so poorly informed about something so important. If we have a message for someone that is urgently vital for their survival, and we have any compassion, that compassion will compel us to communicate that message clearly and with every necessary proof--not ambiguously, not through unreliable mediaries presenting no real evidence. Conversely, if we see something incredible, we do not attack or punish audiences who don't believe us, we don't even expect them to believe--unless and until we can present decisive proof. There is a heroic legend in the technology community about the man who invented elevator safety brakes. He claimed that any elevator fitted with his brakes, even if all the cables broke, would be safely and swiftly stopped by his new invention. No one trusted it. Did he get angry or indignant? No. He simply put himself in an elevator, ordered the cables cut, and proved to the world, by risking his own life, that his brakes worked. This is the very principle that has delivered us from superstition to science. Any claim can be made about a drug, but people are rightly wary of swallowing anything that hasn't been thoroughly tested and re-tested and tested again. Since I have no such proofs regarding the resurrection story, I'm not going to swallow it, and it would be cruel, even for a god, to expect otherwise of me. So I can reason rightly that a god of all humankind would not appear in one tiny backwater of the Earth, in a backward time, revealing himself to a tiny unknown few, and then expect the billions of the rest of us to take their word for it, and not even their word, but the word of some unknown person many times removed. Yet, if one returns to what was probably Paul's conception of a Christ risen into a new, spiritual body, then the resurrection becomes no longer a historical proof of the truth of Christianity, but an article of faith, an affirmation that is supposed to follow nothing other than a personal revelation of Christ--not to be believed on hearsay, but experienced for oneself. Though I do not believe this is a reliable way to come to a true understanding of the world, as internal experience only tells us about ourselves and not the truth of the world outside of us, I leave it to the Christians here to consider a spiritual resurrection as a different way to understand their faith. But I don't see any reason to buy the resurrection story found in the Gospels. For the Vita Genofevae see the translation of the earliest mss. ("Text A") in Sainted Women of the Dark Ages by Jo Ann McNamara and John Halborg, 1992, pp. 17 ff. Their introduction gives background and further sources. See also The Oxford Dictionary of the Christian Church, 3rd ed., s.v. "Geneviève" for more sources. I only mention a few of the most incredible of her miracles--by section number, cf. monsters: 34; righted ships: 39; exorcisms: 44-47, etc. ; calmed storms: 50; oil: 51; water: 19; healings: 20, 32, 36, etc. ; blinded thieves: 23, 33, etc. Hume, An Enquiry Concerning Human Understanding (1777), Chapter 10. See the edition of this chapter and notes in In Defense of Miracles, as well as Antony Flew's essay, ibid., "Neo-Humean Arguments About the Miraculous," all with my Review of In Defense of Miracles. Besides my summary of Metzger on The New Testament Canon, cf. R. Burridge, What are the Gospels? A Comparison with Graeco-Roman Biography (1992); H. Koester, Ancient Christian Gospels: Their History and Development (1990); W. Lane's New London Commentary on the New Testament (1974); and also Bart Ehrman's The Orthodox Corruption of Scripture: The Effect of Early Christological Controversies on the Text of the New Testament (1993). A good summary of extra-biblical mentions of Jesus is Robert Van Voorst, Jesus Outside the New Testament: an Introduction to the Ancient Evidence (2000). However, compare my treatment of Thallus with his. He outright omits mention of Phlegon, probably because we have no reliable quotations. Douglas Geivett, "The Evidential Value of Miracles," In Defense of Miracles (1997), pp. 186, 185, etc. He is not alone: hundreds like him have made similar claims, cf. Josh McDowell's The New Evidence That Demands a Verdict (1999), esp. § 9.5A & 9.8A for some examples. I refute Geivett at length in my Review of In Defense of Miracles. The first Christians to show a desire to employ the methods of critical scholarship in working out historical facts are Clement of Alexandria, Origen, and Sextus Julius Africanus, all working in the early 3rd century. Africanus is the first known Christian chronologer, but not quite a historian in the proper sense of someone who tried to develop a critical analysis of what happened with an interest in the relevant causal connections, and very little of his work survives. In the proper sense, the first Christian historian was Eusebius, yet he is notoriously unreliable. In fact, no trustworthy Christian historian would appear until the early modern period. On Eusebius in particular, cf. D.S. Hadrill, Eusebius of Caesarea (1960); R.M. Grant, Eusebius as Church Historian (1980). On the others, see entries in the The Oxford Dictionary of the Christian Church, 3rd ed. Two points need clarification. First, "bias" in and of itself is never a sufficient reason to dismiss any account. Rather, bias can only act as a supporting reason to doubt when we already have other reasons to be skeptical, since bias, if demonstrable, is a ready explanation for why an author would have consciously or unconsciously created, or uncritically transmitted, an account or detail that was untrue. But though bias explains this, making other skeptical grounds stronger, it does not entail it. Indeed, bias can in fact be used to help prove an account true, e.g. if an author is biased against some account of things but reports it anyway. However, I do not merely charge the Gospels with their obvious bias, but in some cases with an overtly stated propagandist mission, which is something much more damning than mere bias: some of the sources specifically state that their versions of events were written to convert people. That alone raises them to a whole new level of suspicion. Cf. e.g. John 20:31; Mark 16:16; 1 Corinthians 15:1-2; Galatians 1:1-9. Also suspicious are repeated assertions of honesty, without explaining why the account is to be given credit. This is the sort of thing liars are more likely to do than honest people. When an author honestly wishes to insist an account is true, he will usually add reasons why such an insistence is appropriate ("I know this is true because I saw it myself" is the simplest example). But when the insistence stands by itself ("That's what happened! Honest!") we are right to be cautious in trusting what the author says. Cf. e.g. John 21:24; Galatians 1:20, etc. But even this is not sufficient to dismiss an account: additional supporting reasons are necessary. However, sufficient doubt can be raised when obvious bias is combined with a complete lack of any critical analysis or source research. The Evangelists simply tell stories, and never show any interest in admitting the existence of alternative versions of any events, or admitting any doubt or uncertainty about any details, or identifying or discussing the merits of any of their sources, or making any attempt to justify their accounts with critical or scholarly analysis. Contrast this with, for example, chapter 8 of Suetonius' Life of Caligula, and the dubiousness of the Gospel accounts becomes plain. Ancient historians on the crossing: Appian, Civil Wars; Cassius Dio, History; Plutarch, Caesar; Suetonius, Divus Iulius. For modern scholarship and material evidence: Ronald Syme, The Roman Revolution (1939); M. Gelzer, Caesar: Politician and Statesman, 6th ed. (1968); L. Kreppie, Colonization and Veteran Settlement in Italy: 47-14 BC (1983); P.A. Brunt, The Fall of the Roman Republic and Related Essays (1988). For more, in response to James Holding's criticism (in "Julie's River Run: On Comparing the Rubicon to the Resurrection"), see The Rubicon Analogy. This was a subject of my Columbia University Master's Thesis, The Cultural History of the Lunar and Solar Eclipse in the Early Roman Empire (1998). But the general point is carried much further with different examples in my online essay Kooks and Quacks of the Roman Empire. Relevant scholarship is cited in the endnote there. "On Superstition," Moralia 168C. Seneca also wrote a work on superstition that does not survive but for a few quotes in book 10 of Augustine's City of God, and it reveals similar hostility to elite religion from the masses, and the craziness of popular religious opinions. Most relevant to this fact is Graham Anderson's Sage, Saint and Sophist: Holy Men and Their Associates in the Early Roman Empire (1994); but consider Paul's mode of argument in his letter to the Galatians as an example of how assertions of authority mattered more than a presentation and analysis of witnesses and evidence. Cf. n. 10 above for the only two examples of pagan tracts devoted to debunking popular cults. Their form of argument is relevant: they did not conduct historical investigations to refute factual claims of distasteful cults, but argued against them solely on ethical, aesthetic, and philosophical grounds. This was the usual way skeptics dismissed cults like Christianity--a detailed investigation wasn't worth their time. For example, in the correspondence between Pliny and Trajan (Pliny the Younger, Letters 10.96-7), the interrogation of a few local cult members in Asia Minor led Pliny to conclude that Christianity was such a "depraved superstition" that he saw no reason to investigate it further. The exception proves the rule: we have no real parallels for what Lucian did in his story Alexander the False Prophet, and even that was a matter of coincidence: Lucian, by chance a keen-minded Epicurean and prolific and talented writer, just happened upon the scene of a new pagan cult as it was beginning. Similar coincidence drove him to write skeptically on The Death of Peregrinus (both are available in Lionel Casson's Selected Satires of Lucian, 1968). Matthew alone records a supposed skeptical attack of Jews, namely the charge that the body of Jesus had "really" been stolen (28:11-15; cf. 27:62-6; 28:4). But this appears in no Jewish writings, of the first century or even later, and as a Christian story it is suspect: it involves reporting secret conversations that no Christian could have been witness to, and Matthew does not explain how he heard of those events. He only says "This story [of theft] was spread around among Jews until today." But apparently, not in print. There are many reasons to doubt the veracity of this report: e.g. my analysis of the guarding story in Section VIII of Probability of Survival vs. Miracle, and my papers on theft (see Summary). However, as I note there, an ad hoc charge of theft could well have been an intuitive response to the story when the story adopted an empty tomb motif, whenever that was (in my opinion, probably after the Jewish War concluded in 70 A.D.), and in that respect Matthew may simply be inventing a story to "debunk" a new charge raised by the adoption of a new empty tomb story a generation or two after the religion began (so that what he thinks or claims is "until today" is really just "today"). Referring to the Vita Genofevae above, as well as material covered in Kooks and Quacks of the Roman Empire, and events related in the Acts of Peter. Also, cf. Section I of the following General Case for Insufficiency. Cf. Probability of Survival vs. Miracle for a parallel argument; and for an elaboration of the methods of history applied to miracle accounts, see my Review of In Defense of Miracles. The ultimate starting points for those interested in studying the Roswell legend are three books: Kal Korff's The Roswell UFO Crash: What They Don't Want You to Know (2000) surveys the real evidence meticulously, proving the legend entirely bogus, while UFO Crash at Roswell: The Genesis of a Modern Myth (1997) by Benson Saler, Charles Ziegler, and Charles Moore, relates the development of the legend itself, and Toby Smith's Little Gray Men: Roswell and the Rise of a Popular Culture (2000) explains how the legends became so popular. See also Philip J. Klass, The Real Roswell Crashed-Saucer Coverup (1997). In support of the legend, see for example Roswell: Have You Wondered? Understanding the Evidence of UFO's at the International UFO Museum and Research Center (1999) by the Leacock family, and Kevin Randle's The Truth About the UFO Crash at Roswell (1999). For a bibliography of skeptical sources on the whole UFO/alien abduction phenomenon, cf. NYASK. Cf. Section IV of Probability of Survival vs. Miracle for much more on this subject and the relevant verse citations. That Stephen was not a witness but a later convert is implied in Acts 6:1 (where he appears among the disciples who are multiplying in the church and his being a witness is not listed as his qualification). Technically, though, he did not die for "hearsay" since he was supposedly trusting what others said they saw. We just don't know what that was (since we only have this account as hearsay). Acts 12:2. Cf. The Oxford Dictionary of the Christian Church, s.v. "James, St, 'the Great'." Josephus, Jewish Antiquities 20.200-1; Hegesippus apud Eusebius, History of the Church 2.23. Cf. The Oxford Dictionary of the Christian Church, s.v. "James, St, 'the Lord's brother'" and Jeffery Jay Lowder's discussion of the Josephus reference in Josh McDowell's "Evidence" for Jesus: Is It Reliable?. Tacitus, Annals 15.44. This was written c. 117 A.D.
 None of the Apostolic lists match exactly (Mk. 3:14-19; Mt. 10:2-4; Lk. 6:13-16), and all the Gospels name among the witnesses various different people, most of whom are not mentioned by Paul (1 Cor. 15:3ff.). Cf. W. Frend, Martyrdom and Persecution in the Early Church (1965) in the light of more recent work, e.g. D. Wood, ed., Martyrs and Martyrologies (1993) and Robin Lane Fox, Pagans and Christians (1986), pp. 434-50. Eusebius repeats the same story, attributing it to Hegesippus, but we know now that it derives from the Acts of Peter. For scholarship and modern consensus on Peter, cf. The Oxford Dictionary of the Christian Church, s.v. "Peter, St."
 On hallucination as a cause of sacred or mystical visions, see my discussion of Habermas on the Post-Resurrection Appearances of Jesus. Also relevant are the historiographical issues addressed in my discussion of Beckwith. I discuss all of these features in detail in General Case for Spiritual Resurrection. Cf. part of my essay on the New Testament Canon, and all the relevant entries for each author or book in The Oxford Dictionary of the Christian Church for consensus and sources of scholarship, cf. also s.v. "Synoptic Problem." I discuss this vision and Paul's Christology in sections I through VI of General Case for Spiritual Resurrection. Paul's declarations of the "creed" of his religion also support this: physical resurrection is nowhere stated to be a necessary belief. 1 Cor. 15:3-11 I discuss in the links above, but to that can be added 1 Tim. 3:16, where the necessary elements of the religion are listed as the incarnation, spiritual justification, some connection with angels, the teaching of the Gospel, and the ascension. No mention of physical encounters or empty tombs or even resurrection (as anything distinct from ascension). Likewise, Paul's summary of the Gospel at Philippians 2:6-11 omits a physical resurrection: instead of being raised, Jesus is merely exalted after death by being given a powerful "name." And Colossians 1:13-29 summarizes the theology of the Gospel, yet makes clear that by giving his body Jesus removed sin (vv. 22), and that after death his "body" became the church (vv. 24; supported by Ephesians 5:30, where it says we are now Christ's body). This implies that there was no living "body" of Jesus on earth after his death, except the power of his name and message, and thus the church itself. However, Paul does say Jesus was given a new body in heaven, and that was probably the original belief--the church becoming his new earthly body, not his corpse. Paul probably had to use so many metaphors and go to such length to explain the nature of a spiritual resurrection to a congregation clearly confused about it because Paul was trying to bring many different sects into his fold. Though Jews were more resistant than most people of that day to syncretism with Hellenistic and Persian ideas, they were far from immune, and Christianity was always more popular with Hellenic Gentiles than with Jews, and more popular with Hellenized diaspora Jews than with the Jerusalem orthodoxy. Even so, novel ideas made their way even into mainstream Judaism, as is evident from the allegorizing and mysticism of the Jewish philosopher Philo, the adoption of a notion of Hades in the Book of Enoch similar to that held by popular mystery-religion, the gradual replacement of Hebrew scriptures with Greek, the importation of Hellenic magic (by attributing it to the Wisdom of Solomon), and the Zoroastrian idea of a flaming hell--all are prime examples. In fact, the very idea of a bodily resurrection itself isn't Jewish: it was Zoroastrian, and adopted by the Jews during or shortly after their exile to Babylon. See Alan Segal, Life after Death: A History of the Afterlife in the Religions of the West (2004). There are at least three endings to Mark in circulation that were combined into what we now read in the Bible, but the mss. tradition shows they began as separate additions. The longest is found only in post-4th century manuscripts (for all the following, see the apparatus for the relevant passages in The Greek New Testament, Fourth Revised Edition). Outside the mauscript evidence, which is decisive, the addition seems to be first partly quoted in the late 2nd century, in a passage of Irenaeus (Against All Heresies 3.5), but that text is also a late manuscript (and a Latin translation, not the original Greek) that could have been redacted to match the Gospel that was in circulation at the time. There is evidence of that very fact in the same passage, with regard to his quotation of the first verse of Mark: the words "son of God" are recognized as not being original to that Gospel (cf. ibid. apparatus; also, Bart Ehrman's The Orthodox Corruption of Scripture: The Effect of Early Christological Controversies on the Text of the New Testament 1993, pp. 72-5), and in fact those words appear in only two of three surviving Latin translations and do not exist in the one surviving fragment of that passage in the original Greek. We do not have the original Greek for his mention of the ending of Mark, and therefore it remains probable that it, too, was added by a later translator. Other than that one reference (which, if genuine, would suggest that Irenaeus added the ending to Mark to help his case against the Gnostics), the longest addition seems to first appear in some Coptic manuscripts in the early 4th century, and begins to be added to most Greek versions over the course of that and the following century. It is cited already in the 4th century by a few Christian authors. On this whole issue, still of key relevance is F.C. Conybeare's essay "On the Last Twelve Verses of St. Mark's Gospel," The Expositor, 5th ser., 2 (1895), pp. 401-21. Possibly not meant by Mark as an angel, cf. my Review of Homer and the Gospel of Mark. See my essay on The New Testament Canon and Bart Ehrman's The Orthodox Corruption of Scripture: The Effect of Early Christological Controversies on the Text of the New Testament (1993). On Heracles, the references to his ascension on a cloud are found throughout ancient literature (cf. K. Galinsky, The Herakles Theme 1972), but most notably in the earliest Christian apologetic work, Justin Martyr's Trypho 69-70. On Apollonius, cf. Philostratus, Life of Apollonius of Tyana 8.30. Empedocles is also a paradigm example of a vanished wise man (Diogenes Laertius 8.67-8); citing Heraclides of Pontus, the story clearly predates Jesus--Hermippus had even attempted to invent a clever secular account of the story (Diogenes Laertius 8.69). There are also precedents for this in Jewish scripture: Elijah and Enoch were raised into heaven (2 Kings 2:1-18), and a similar legend was growing among Jews in the early 1st century regarding Moses (cf. The Oxford Dictionary of the Christian Church, s.v. "Moses, The Assumption of"). For more of my discussion of Matthew and Mark's "appearances" see later sections of the present collection: 2.VIII and 3.VII. [32a] There are good arguments that this passage is in fact a later addition, and that the original Lukan text has been tampered with (see pp. 212-17 of Bart Ehrman's The Orthodox Corruption of Scripture: The Effect of Early Christological Controversies on the Text of the New Testament, 1993). However, that only reinforces the point: the texts show legendary development over time, even as the outcome of tampering. How many passages were tampered with that we can't detect? How much tampering took place before the story ever even came to be written down? We will never know. See, for example, Stephen Carr's examples in The Textual Reliability of the New Testament. See Section VIII and Section XI of General Case for Spiritual Resurrection. See Section IX of General Case for Spiritual Resurrection. I collect numerous references to revivals in Section V of Probability of Survival vs. Miracle; on Asclepius, the decisive reference is Asclepius: Collection and Interpretation of the Testimonies, Edelstein & Edelstein, eds. (1945). 1 Kings 17:17-24; 2 Kings 4:19-37; Mark 5:21-43 [w. Matt. 9:18-26, Luke 8:40-56], Luke 7:11-17, Acts 9:36-43, John 11:5-44. Jesus compared to Elijah: Mark 6:15, 8:28, 9:11-13; Matthew 11:14, 16:14, 17:10-12; Luke 9:8, 9:19; John 1:21. This rivalry was certainly a prominent influence on Christianity: cf. Thomas Matthews, The Clash of Gods: A Reinterpretation of Early Christian Art (1993) and Harold Remus, Pagan-Christian Conflict Over Miracle in the Second Century (1981). The Thracian god Zalmoxis (also called Salmoxis or Gebele'izis) was buried, resurrected and deified in his own lifetime, as described in the mid-5th-century B.C. by Herodotus (4.94-96), and also mentioned in Plato's Charmides (156d-158b) in the early-4th-century B.C. According to the hostile account of Herodotus' Greek informants, Zalmoxis buried himself alive, telling his followers he would be resurrected in three years, but he merely resided in a hidden dwelling all that time. His inevitable "resurrection" led to his deification, and a religion surrounding him (which preached heavenly immortality for believers) persisted for centuries. Innana (also known as Ishtar), a Sumerian goddess whose crucifixion, resurrection and escape from the underworld is told in cuneiform tablets inscribed c. 1500 B.C., attesting to a very old tradition. The best account and translation of the text is to be found in Samuel Kramer's History Begins at Sumer, pp. 154 ff., but be sure to use the third revised edition (1981 or later), since the text was significantly revised after new discoveries were made. For instance, the tablet was once believed to describe the resurrection of Innana's lover, Tammuz (also known as Dumuzi). Kersey Graves, for example, thus mistakenly lists Tammuz as one of his "Sixteen Crucified Saviors." Bowersock, 1994. The notion still floats around, usually citing hopelessly outdated scholarship, that somehow all these works of fiction post-date Christianity. Many do. But the whole genre does not. Some are dated to the first century A.D. and even B.C., and these we believe are late--many similar works existed earlier but have not survived. See Graham Anderson, Ancient Fiction: The Novel in the Graeco-Roman World (1984); Richard Stoneman & J.R. Morgan, eds., Greek Fiction: The Greek Novel in Context (1994); and Susan Stephens & John Winkler, eds., Ancient Greek Novels (1995). The genre of historical fiction itself begins in the 4th century B.C. with Xenophon's The Education of Cyrus (though the idea was begun with the very dialogues of Plato). But we have one definite proof that the resurrection motif in fiction predates the 1st century: the Latin satire of that very genre, The Satyricon by Petronius. This is positively dated to around 60 A.D. (Petronius was killed under the reign of Nero, and makes fun of social circumstances created by the early Caesars) and is a full-fledged travel-narrative just like Acts, with a clear religious motif. However, Petronius is making fun of that motif, and also writing in Latin, yet we know the genre began in the Greek language. Thus, in order for Petronius to move the genre into Latin and make fun of it, it must have pre-existed the time of his writing and been popular enough to draw his attention. Indeed, the satire itself may actually have existed in a Greek form before Petronius took it up: P. Parsons, "A Greek Satyricon?" Bulletin of the Institute of Classical Studies 18 (1971) pp. 53ff. It should be noted that Petronius pokes fun at the resurrection theme in section 140.frg2, where the hero compares his restoration from impotence to the "resurrected Protesilaus," and attributes it to Mercury's known role in "bringing back the dead." Similarly, Plutarch relates a spoof of the motif in popular theatre, where a performing dog acts out its death and resurrection on stage to the delight of the emperor Vespasian ("On the Cleverness of Animals," Moralia 973e-974a). In order to have something to spoof, the motif must predate the year 80. Of course, our closest source is Josephus himself, who fought in the war and witnessed the sack of Jerusalem and who relates it all in detail in his apologetic history The Jewish War (with some more material in his other works). For scholarship on the war, cf. E.M. Smallwood, The Jews Under Roman Rule (1976); R. Furneaux, The Roman Siege of Jerusalem (1973). To make the point clear, Thomas was not denigrated or condemned for asking for hard evidence, and he was given it, thus God, as depicted here, accepted his prima facie right to that evidence before committing to belief. The Gospel goes on to emphasize that others who waive that right are also blessed, but that does not affect the fact that they have that right, as recognized in Thomas. On my views regarding the ethics of belief, see my essays A Fish Did Not Write This Essay, Do Religious Life and Critical Thought Need Each Other?, and What an Atheist Ought to Stand For. This is related to the argument I make in the next essay in the present collection: General Case for Insufficiency. This is a true story: the man's name is Elisha Graves Otis, cf. s.v. "Otis, Elisha Graves," Encyclopedia Britannica.